We've discussed more than half the projects in Finish-Free Knits! I began with the cold-weather sweaters, and we're now moving on to the transitional and warmer-weather sweaters—getting ready for spring! This week is the Divine Vest! If you would like to read the previous posts, they can be found here, with all the Finish-Free Knits blog posts. 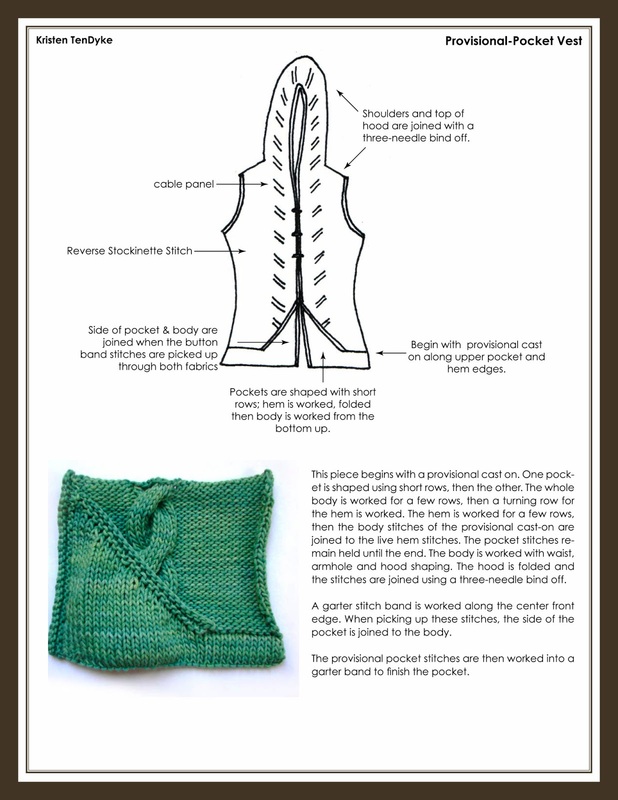 Beginning with a provisional cast-on, this vest features unusual construction. The pockets are shaped with short rows, then the hem is folded to the wrong side and joined to live stitches for the body. After the body and hood are completed, stitches are picked up for the front band while joining the pockets to the body seamlessly. 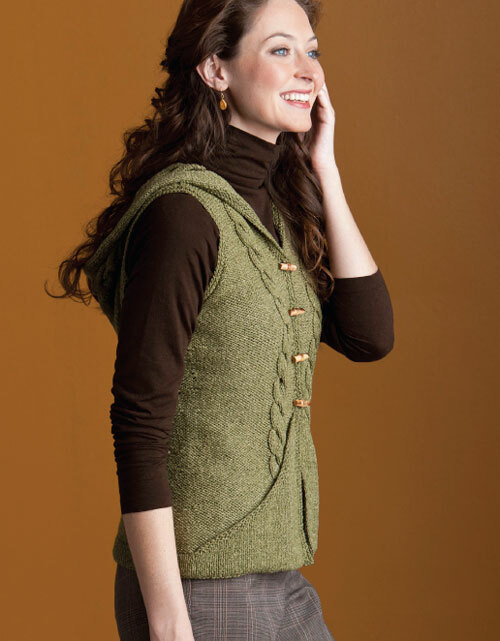 Like the ubiquitous hoodie, this super-comfortable vest is sure to become a daily favorite. One of my favorite things about writing Finish-Free Knits was figuring out how to make seamless pockets. In fact, it's so much fun, I'm still playing with different ways of doing it. 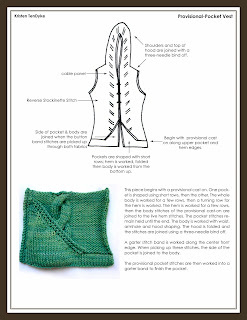 The pocket for the Divine Vest was swatched about 3 different times—each slightly differently. I played with getting the angle of the short rows into the shape I wanted, and a variety of different ways of getting the garter stitch edge to look just right! 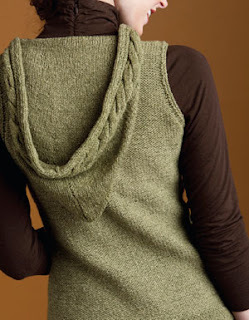 Other than the pocket shaping, the vest is constructed pretty normally: the body is worked in one piece to the armholes, with a little waist shaping; the back and fronts are divided and worked separately to the shoulders; the shoulders are joined with a three-needle bind off, and the remaining stitches are used for the hood. Knitting another one of these—me sized—is definitely on my to-do list! Though, I'll probably add sleeves. I don't own enough long-sleeve shirts to warrant knitting any vests for myself.